A day out for Compliance365! 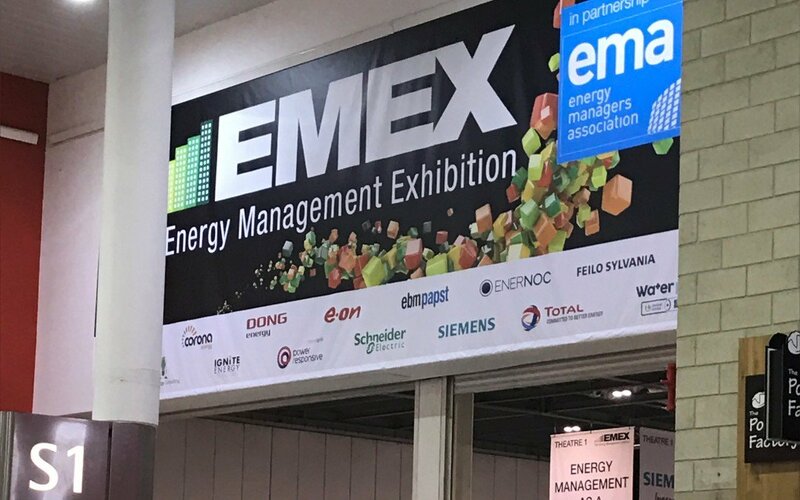 Compliance365 visit the Energy Management Exhibition in London – a great opportunity to build on energy knowledge! The Energy Management Exhibition, organised by HEELEC Limited, is an annual event, offering educational seminars and talks from experienced professionals covering key areas such as Utilities, Energy Services, Training, Energy in Facility Management and Energy Management Solutions. The team attended many seminars throughout the day including; ‘Demonstrating Energy Excellence: Increasing Investment Yield – What every Facility Manager needs to know’, presented by Joanne Merry, Technical Director at Carbon2018 which covered legislation, energy efficiency and asset optimisation. Joanne revealed that further changes will be made to Part L of the Building Regulations in April 2017 making it harder for organisations to achieve an energy performance rating of E. Although this may not directly affect organisations now, it will by April 2018 when the Minimum Energy Performance Standards (MEPS) legislation is introduced. Those affected are therefore being urged to act now and work towards achieving this minimum rating of E, before it becomes more of a challenge. Many other experienced speakers were featured throughout the day amongst whom were energy users, policy makers, leading experts and solution providers. The team met the Energy and Environmental Manager of the Bank of England, Vassia Paloumbi, whilst listening to a discussion on ‘Balancing Energy Management with the Needs of Facilities Management’. Vassia has only been with the company for 2 months and believes we should be looking at all areas of the business to see where they could save energy and was very interested to discuss the psychological and behavioural factors that influence employee thoughts on energy saving. It’s clear to see that both Katie and Fiona from Compliance365 found this day very beneficial and look forward to attending the event again in 2017!